FirstPointe Advisors Managing Partner, Brian DePotter wins 2018 NAIOP Member of the Year Award! It is with great pleasure that we share with you that on March 14, 2019, our Managing Partner, Brian DePotter was awarded with the prestigious 2018 NAIOP “Bob Langley” Member of the Year Award. 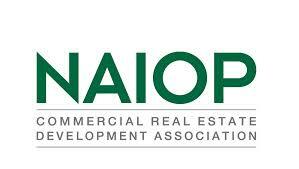 Brian has been an active member of NAIOP since 2012 and has steadily risen through the ranks. He started as a member of the Developing Leaders (DL’s) and due to his devotion, he was asked to serve as the Chair of the DL’s, a capacity in which he served for the last 3 years. Brian has been a member of the NAIOP South Florida Board of Directors for 4 years and is a member of the Public Affairs Committee. Brian’s selfless dedication to the NAIOP organization is driven by his passion for the real estate industry and for his shared vision with the NAIOP organization. Congratulations, Brian for the well deserved recognition!! We’d also like to congratulate all of the other award winners! What an accomplishment to be recognized by your peers! Previous: Previous post: 2018 Florida Property Tax Appeal Deadlines Are Approaching!